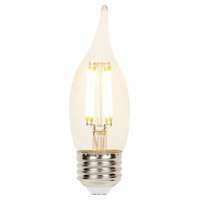 Energy-saving filament LED bulbs will enhance the ambiance of all your decorative lighting fixtures. 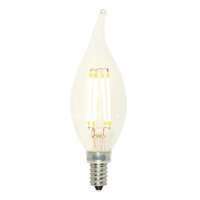 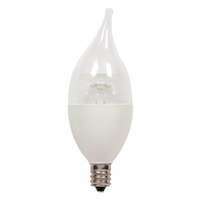 Using the latest in LED technology, these long-lasting bulbs have the look and feel of incandescent flame tip bulbs, making them ideal for use in open-design fixtures. 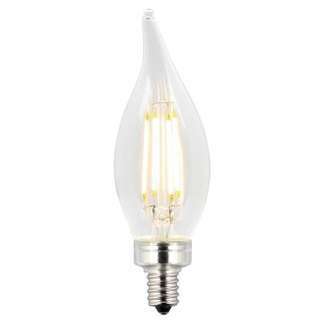 Produces a warm white light and adds a unique touch to vintage style fixtures, chandeliers, sconces and outdoor fixtures.